Explore and learn more about Conference Series LLC Ltd : World’s leading Event Organizer. 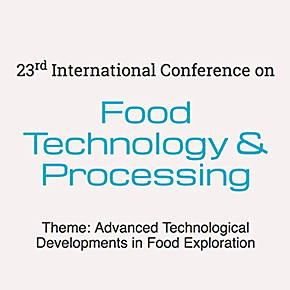 FoodTech scientific committee feels esteemed delight to invite participants from around the world to join us at 23rd International Conference on Food Technology and Processing schedule to be held on October 07-08, 2019 in Dublin, Ireland. The Conference will primarily emphasize on the various topics related to Food Technology, Food Industry, Food Engineering etc. It is a world-wide dais that combines different spheres, stimulate the exchange of ideas and enable participants to grasp the latest developments and ideas in different areas of Food Technology and Processing. It will serve as a great platform to improve your knowledge and skills in this field through the various research experience and presentations. It also helps gaining a view about the career development and job search.